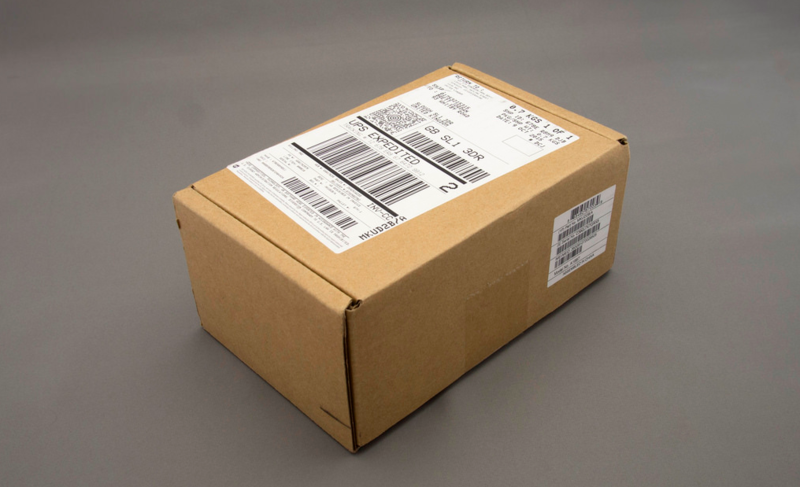 If you ship items from your online store, you know that the dimensions and weight of your packaging can have a major impact on shipping rates. 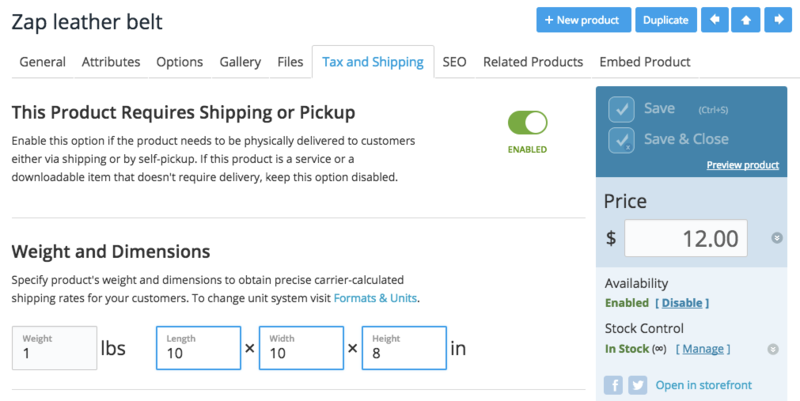 The good news: with the help of our new Dimensional Shipping Rates feature, you can now enter dimensions — the length, width, and height — for each product in your store and get more accurate carrier-calculated shipping rates. This feature will work for you if you are using FedEx, UPS, USPS, Australia Post, Brasil Correios, and Canada Post to calculate shipping rates in real time. If you use your own custom shipping rates but also wish they could take product dimensions into account, you can utilize the Ecwid Shipping API to achieve that. Why it matters: Essentially, it means no more overpaying for retailers who ship bigger, lightweight items or small items which can be combined and put into one shipping box. This tool will help pinpoint the best possible package for your orders with a more precise shipping rate. Let’s explore this new feature in more detail so you can start leveraging it to improve your shipping process. To start using this new feature, you’ll need to complete a few quick steps on the back end of your Ecwid store. Open Control Panel → Catalog → Individual product page → Tax and Shipping → Set Up Dimensions. Once you’ve arrived at an individual product page — go to the Tax and Shipping tab. There, you’ll see weight, length, width, and height, all in the units chosen in your Ecwid Settings. The standard product dimensions field. Set per product. Go to your Control Panel > Catalog > Products. Export a CSV file with your product catalog with the necessary columns: product SKU, ID, and dimensions. Open it in Excel, Numbers (for Mac), or OpenOffice (free Excel alternative) and change the dimensions. Save it to CSV and import back to Ecwid. Then save your changes and voila — shipping costs will be calculated more precisely because the product dimensions will be taken into account. Please refer to this article for more info about CSV product import and contact our support team if you have any questions. Note: Dimensional Shipping Rates are available on paid Business and Unlimited plans. You still have the option to set manual shipping rates, too. If you want to add custom shipping methods, you can achieve that with the help of the Ecwid API Platform and our customization team. To ensure you’re calculating the right rate, make sure you’re measuring dimensions correctly. When you’re entering the shipping dimensions of the product to calculate your rate, you’re actually inputting the dimensions of the product shipping container – not the dimensions of the product itself. Be sure to input the size of the package when it’s ready to ship. To find the optimal shipping container, measure your product when it’s laid out plus any extra room you’ll need for padding. For example: Say you’re selling t-shirts. Laid flat, your shirt measures about 54 inches wide, 62 inches long, and 0.4 inches thick. However, when folded up, it could easily fit into a box measuring 20 inches by 16 inches by 3 inches — like in the example below. Knowing the average weight for your t-shirts when packed into the box, you can then find out which shipping carrier could deliver the best rate for this size/weight combo, as well as which will get it there faster. Or say you’re selling a smartphone. The phone itself is only 7 inches by 3 inches and 0.5 inches thick, but you’ll need to factor in room for padding to ensure it arrives at its destination safely. By using a box that’s made to fit a phone in its original packaging and by calculating the weight of the packaged product, you can evaluate which carrier offers the best rate for your order. All in all, product dimensions really help to get more accurate shipping rates. This means that your customers will no longer underpay for the shipping and you will no longer need to cover the additional shipping expenses yourself simply because the package appeared to be more costly due to its size. Stay tuned for more updates! If you have questions about Dimensional Shipping Rates, please get in touch with one of our Support Ninjas or read our support documentation. Andrey is Product Manager at Ecwid. He’s been into shopping cart development for 16 years and is a proud father of two.